No betrayal takes place in party unification: PM Oli - Integration Through Media ....! 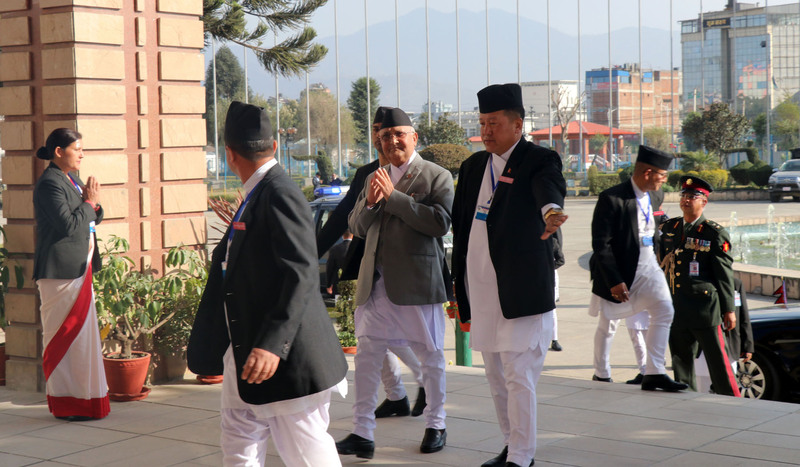 KATHMANDU:Prime Minister and CPN (UML) Chairman KP Sharma Oli today said no betrayal would take place in the unification of the UML and CPN (Maoist Centre). The UML is committed to the party unification as it led various communist movements and has been working actively for years for the prosperity of the country, he said speaking at a memorial assembly organised at the party central office, Dhumbarahi on the 45th memorial day of the five martyrs who were killed during the Jhapa movement. He also pledged to embrace the idea of social justice and equality through a democratic way, while acknowledging sacrifice of martyrs that he said led to the present federal democratic republic of Nepal. Five communist leaders–Ram Nath Dahal, Netra Ghimire, Biren Singh Rajbamshi, Krishna Kuinkel and Narayan Shrestha– were killed in Sukhani forest bordering Jhapa and Ilam by the then Panchayat government on March 4, 1973 for their voices against Panchayat rule. On the occasion, UML leaders Jhala Nath Khanal, Madhav Kumar Nepal, Bam Dev Gautam, Radha Krishna Mainali and families of the martyrs were present.